[105 Pages Report] MarketsandMarkets forecasts the global telecom system integration market to grow from USD 15.20 Billion in 2016 to 25.16 Billion by 2022, at a Compound Annual Growth Rate (CAGR) of 8.7% during the forecast period. The forecast period has been considered from 2017 to 2022, while 2016 is considered as the base year for estimating the market size. The main objective of this report is to define, describe, and forecast the telecom system integration market by segments – application area, deployment, and vertical. The report provides detailed information regarding the major factors (drivers, restraints, opportunities, and industry-specific challenges) influencing the market growth. The report forecasts the market size with respect to 5 main regions, namely, North America, Europe, Asia Pacific (APAC), the Middle East and Africa (MEA), and Latin America. The report profiles key players and comprehensively analyzes their core competencies. This report also tracks and analyzes competitive developments, such as mergers and acquisitions, new product developments, and Research and Development (R&D) activities in the market. The research methodology used to estimate and forecast the market begins with the collection and analysis of data on key vendors’ product offerings and business strategies from secondary sources, such as IT service providers, technology providers, press releases and investor presentations of companies, white papers, technology journals, certified publications, and articles from recognized authors, directories, and databases. Vendor offerings have also been taken into consideration to determine the market segmentation. The bottom-up procedure was employed to arrive at the total market size of the global telecom system integration market. 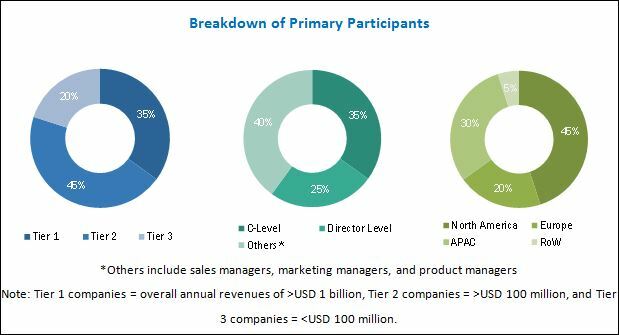 After arriving at the overall market size, the total market was split into several segments and subsegments, which were then verified through primary research by conducting extensive interviews with key people, such as Chief Executive Officers (CEOs), Vice Presidents (VPs), directors, and executives. Major telecom system integration service providers include IBM (US), Ericsson (Sweden), Nokia Networks (Finland), Tech Mahindra (India), Huawei (China), Wipro (India), Infosys (India), DXC Technology (US), Cognizant (US), HCL (India), Syntel (US), and Stixis Technologies (US). 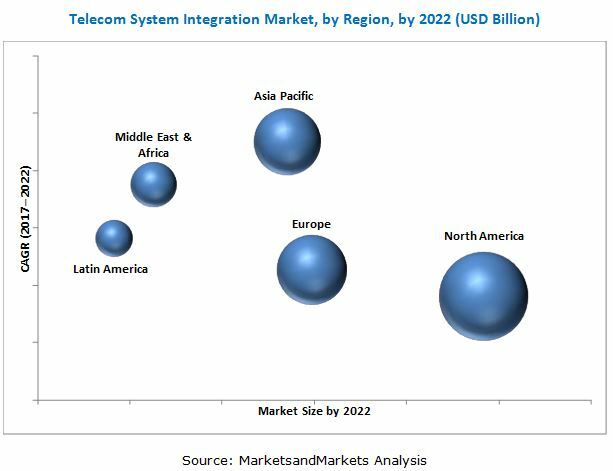 The telecom system integration market is expected to grow from USD 16.56 Billion in 2017 to USD 25.16 Billion by 2022, at a CAGR of 8.7% during the forecast period, owing to the increasing complexities in managing network and IT infrastructure in the multi-vendor landscape. Furthermore, the increasing pressure on telecom organizations to enhance customer experience, cloud and network integration, and lack of in-house expertise have been considered as major factors driving the market. However, high implementation cost and time would restrain the growth of telecom system integration services. The on-premises deployment model is expected to account for a major share of the telecom system integration market by deployment type. On-premises solutions are delivered with a one-time licensing fee, along with a service agreement. On-premises solutions have been deployed on a large scale in telecom companies over the years, as telecom companies have a ready infrastructure to support on-premise solutions. This is a fundamental factor that contributes to the dominance of market for on-premises solutions. The network management application is estimated to dominate the telecom system integration market in 2017. Continuous development in network technologies has encouraged telecom vendors and communication service providers to integrate advanced network solutions with their legacy system. Integrating network solutions efficiently with infrastructure is vital to extract maximum returns on investment from their network solutions. The on-going advancements in the network infrastructure are expected to aid the growth of network management application area in coming years. North America is expected to hold the largest market share and dominate the telecom system integration market during 2017–2022. The region has a high concentration of major telecom companies, such as AT&T, Verizon Communications, T-Mobile, Sprint Corporation, and Comcast Corporation. This is one of the main factors that contribute to the dominance of North America in the market. APAC is expected to provide high growth prospects for telecom system integrators in the coming years. This can be majorly attributed to the growing investment from telecom companies and communication service providers in developing countries in APAC. Major providers of telecom system integration services include IBM (US), Ericsson (Sweden), Nokia Networks (Finland), Tech Mahindra (India), Huawei (China), Wipro (India), Infosys (India), DXC Technology (US), Cognizant (US), HCL (India), Syntel (US), and Stixis Technologies (US). These players have adopted various strategies, such as new service launches, upgradations, and partnerships with technology companies to cater to the dynamic and specific needs of the telecom companies.